Christian Obodo: I’m pretty sure I’ve only heard of Obodo through football manager, as the Nigerian midfielder spent most of his calcio career with Perugia, Fiorentina, Udinese and Torino, four teams I don’t exactly follow. I think he’s a tough-tackling holding midfielder, but I’m not sure. Rodney Strasser: The Sierra Leone midfielder is on-loan from AC Milan, which is where I know him from. Chances are if you know who Strassers is, it’s probably because of his “altercation” with Zlatan Ibrahimovic last season. David Di Michele: I’ve always thought that Di Michele is a much better player than he actually is but I don’t really know why. He had an unspectacular loan-spell with West Ham in 2008-09 during which he became better known for his diving ability rather than goal-scoring prowess. Earned 6 Italy caps in his heyday but, at 35, that period appears to be far behind him. 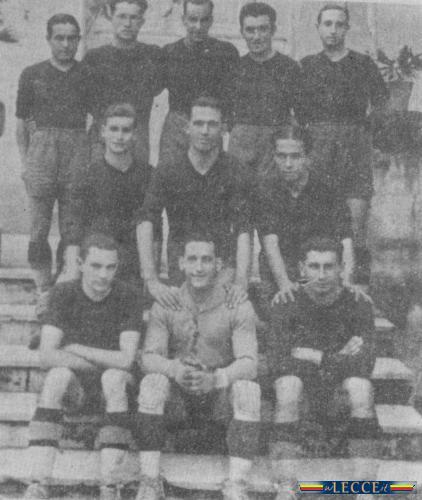 Julio Sergio: Brazilian ‘keeper who was never good enough to properly establish himself at Roma. Probably a good fit for a team of at Lecce’s level, but the fact that he’s 32 and has made less than 80 career league appearances isn’t encouraging. Massimo Oddo: Veteran fullback on-loan from Milan. Oddo was a good player at his peak and was a part of Italy’s 2006 World Cup-winning squad but faded badly afterwards, especially at Bayern Munich. I’ve now idea good he is these days. Cristian Pasquato: 22-year old winger on-loan from Juventus. Apparently this guy is full of promise and impressed during Juve’s pre-season campaign. I only really know about Pasquato because of a typically excellent Adam Digby article I read this summer. Turns out I know a bit more about Lecce than I thought. Still, six players isn’t exactly a lot. Let the research commence! 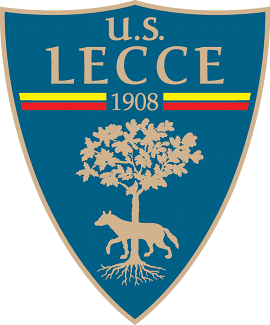 Lecce haven’t had the best of starts: they’re 18th in Serie A and haven’t won since mid-September. Because of this it’d be a bit of a stretch to name their “star performers,” but, going by match reports and WhoScored.com, midfielder Djamel Mesbah looks to have been a consistent performer. The 27-year old signed for Lecce in 2009 having started his career in Switzerland. Usually a left-sided midfielder, Mesbah made his international breakthrough last year and has since made 8 appearances for his native Algeria. Most of his appearances this season have been at left-back, and he’s clearly been a steady performer for the Salentini. Uruguayan midfielders Carlos Grossmuller and Guillermo Giacomazzi are Lecce’s top league goalscorers with two each and the latter also has an assist to his name. Grossmuller typically sits behind the strikers and has only completed 90 minutes once this season (perhaps this is fitness related?). Giacomazzi, on the other hand, as an uncompromising ball-winner known for his lack of discipline. Columbian utility man Juan Cuadrado can play anywhere on the right flank and has featured in all of Lecce’s seven Serie A games so far. He’s particularly excelled in the three games he’s played at right back and his dribbling ability has given Lecce some much-needed penetration. Given that Cuadrado, like Mesbah, is a natural winger I wonder why both have been played mostly as full-backs this season? Serbian Defender Nenad Tomovic was man match in the 0-0 draw with Genoa a few weeks ago but he looks like a pretty limited centre-back. Reports suggest his other appearances prior to that were mediocre, and WhoScored lists “Aerial Duels” as his only strength. I don’t like taking a statistics website’s word for it, but Tomovic sounds like a bit of a clogger. Nobody else really sticks out. New-signing Andrea Esposito hasn’t really made much of an impact at the back and none of Lecce’s strikers have scored (or assisted) this season. Of the players I’d heard of, Julio Sergio has had a rough time in his 5 Lecce appearances, Obodo has been average in midfield and the rest haven’t done anything of note. I think Pasquato and Strasser, given their age, will improve as the season goes on. On further research, Obodo seems an interesting case. Apparently he started-out very strongly at Udinese until a series of bad injuries derailed his progress. He was a first-team regular from 2005 to 2007, but only made 19 league appearances in his last four seasons with the Friulani. He was fit enough to make 30 Serie B appearances for Torino last season, and this term represents a great opportunity for him to re-establish himself as a top tier midfielder. 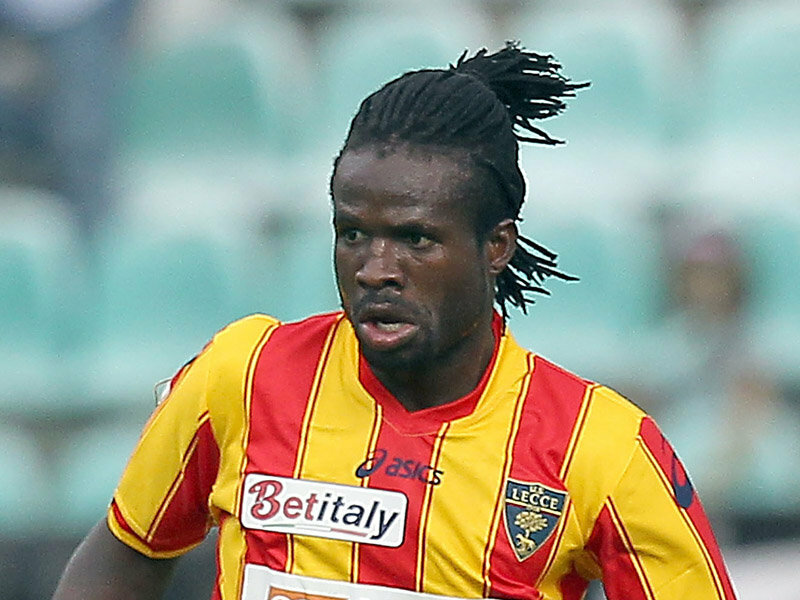 Lecce’s survival hopes don’t look great from an outsider’s perspective. I haven’t watched them in action yet, but the reports I’ve read aren’t too encouraging. They’ve beaten Bologna and were 3-0 up on Milan at one point this weekend, but they’ve already been comprehensively defeated by Atalanta and Siena, teams they should be putting up more of a fight against. 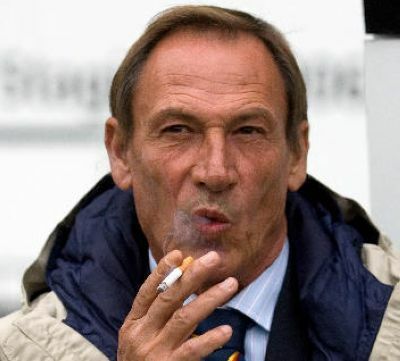 I’ll be paying close attention to the Salentini’s game with Palermo on Wednesday, but I suspect it could be another long night. The Sicilians are undefeated at home this season, and Lecce had only scored three goals this weekend. There are a few promising players in Lecce’s team, but they clearly have work to do to escape the relegation zone.